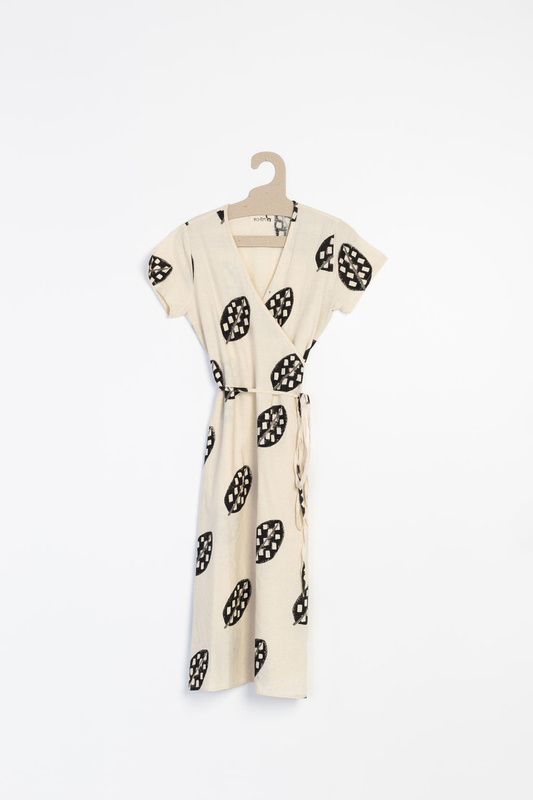 Soft and airy handwoven wrap dress. Block printed by hand. A print that celebrates growing upwards always and always. A wonderful dress that can be dressed up or down. The material is lightweight cotton.